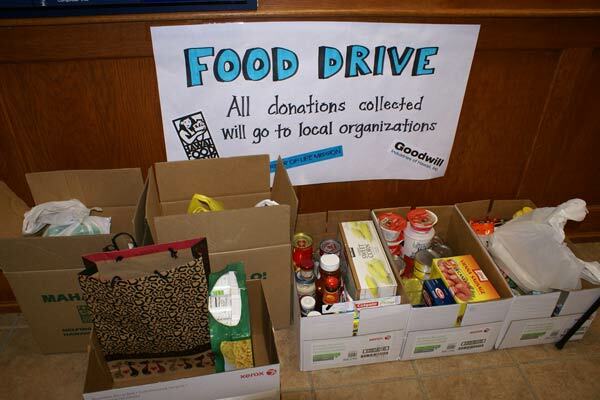 Philanthropic opportunities are everywhere, and your college campus probably boasts a bunch! From raising money to volunteering your time, you can find lots of ways to make a difference. I first attended a large public university many years ago, and it was a challenge to find out what resources and opportunities were available along the lines of career development, cocurricular opportunities, community involvement, and internships. But while there were many exciting options for me back then, nowadays there are many more available to students at public universities—from study abroad and working alongside professionals to getting involved in clubs, organizations, and student government. And one of the most important and potentially enriching experiences you can have is by giving time and effort to organizations that are making a difference in the world—becoming a part of the solution to problems and helping others! Many of us are used to thinking of philanthropy as giving money to an organization or entity, but in reality, philanthropy can be giving time, labor, and enthusiasm as well. And by doing that, you not only have a positive impact on people and communities that need it, but you learn about yourself and your own potential while developing a more balanced and thoughtful approach to the world around you. In addition, you will gain a maturity of thought and vision that you can use in your future endeavors—in your work, graduate school, or just pursuing your life goals after college. With that being said, be attentive to any opportunities you encounter or seek out, and take advantage of them right away! But what kinds of philanthropic activities are available at public universities that don’t require you to give money out of your own pocket? Using my own campus, California State University, East Bay (CSUEB), as an example, here are some of the very meaningful and important ways in which students are getting involved and helping others—and everyone is encouraged to join! MedShare is an organization that delivers a surplus of medical supplies and equipment to hospitals in more than 85 nations, which can make a tremendous difference to people in places where such resources can be in short supply, like Haiti or Bangladesh. CSUEB students are able to help by sorting medical supplies before shipping them out to other nations. This is great experience for people interested in medical professions and/or working with organizations in other countries. Relay for Life is an overnight relay-style event where teams of students and organizations camp out around a track or gymnasium. Before the event, students fundraise for the American Cancer Society. Those who partake find sponsors who pledge or give money, and then in turn the volunteers agree to walk or run a certain distance for the amount that is being pledged. This not only allows for a chance to raise money for important agencies that help people, the environment, and animals, but it is also a lot of fun and helps participants stay in shape. St. Jude’s is a nationally and internationally well-known research hospital founded by the late entertainer Danny Thomas to provide treatment for patients, advance preventative medicine, and find cures for the diseases affecting these children. CSUEB students visit the hospital, volunteer with hospital staff, occasionally spend time playing with and entertaining patients, and are able to take part in many fun related activities. Students help the community by gathering volunteers and community members to help repair homes for low-income homeowners in Oakland, a major city near our campus, which has had its share of the problems often associated with urban areas in the United States. Repairs are done at no cost to homeowners and include making homes more energy efficient, safer, and suitable to the needs of sometimes disabled or elderly residents and children. The CSUEB campus is tremendously diverse in terms of the ethnic and cultural student backgrounds. The largest population is Asian American/Pacific Islander, and within that overall grouping there are students from a huge variety of backgrounds—Lao and Hmong to Korean, Chinese, Indian, Filipino, Samoan, and many others! The Asian American Donor Program strives to promote the fact that people need to know their blood type. This process is simple and does not require extensive and costly lab work to determine. Students help raise thousands of dollars every year to pay for lab work and registry, and then spread the word to encourage people in many communities to register themselves. The result: more people know their blood types, more people register, and ultimately, the lives of those dealing with blood cancer are saved and prolonged. St. Regis Retirement Center is a nursing home in Hayward, California, the city in which the main CSUEB campus is located. As is sadly true with many nursing home facilities across the country, many of the residents there rarely get visits from their family members. CSUEB volunteers visit these homes and participate in activities with senior citizens. Students enjoy talking to senior residents, sharing stories, playing games, listening to music, and dancing. In addition, the students not only gain great experiences if they are thinking of going into geriatric care, hospitality and leisure management, or the health care fields, but they can also learn from the life experiences of people who have much to share and offer. Project Open Hand was founded in San Francisco to help people living with HIV/AIDS who also suffer from malnutrition. In the 1980s, there weren’t any social service agencies providing meals to those too weak from AIDS or too impoverished to feed themselves. Ruth Brinker, a retired grandmother, enlisted the help of her friends and secured a basement kitchen at a local church. She then began to serve meals to seven clients, and Project Open Hand was born. The organization has since made tremendous contributions to keeping people alive and healthy. Even in the days when HIV/AIDS has thankfully become a more manageable chronic condition, it is vital that people who have HIV also have adequate nutrition to maintain their health. Students volunteer, help prepare and package food in an assembly line, and deliver it to market-type centers for people living with HIV/AIDS. These are just a few of the types of options you will find. I encourage students to choose one or two volunteer opportunities that complement your interests. Perhaps someone in your family or among your friends might even benefit from one of these services, and that might help guide you in searching out an opportunity. But the key is to get involved. You will find it rewarding in many ways, it will look good on a résumé, and it may give you experience that helps you select the career you want to pursue. Most importantly, it will provide personal enrichment and open your eyes in new ways to the world around you, which will pay off in a lifetime of fulfillment.